Prepare to have a lot of furry and pumpkin-y fun with your favorite greyhounds at our Fall Social! 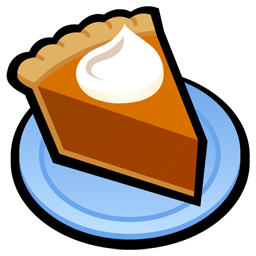 Of course, there will be delicious pumpkin pie and whipped cream! There will also be hot dog bobbing for the hounds, a photography booth (with official SA Greys backdrop for the hound celebrities and their people), a silent auction, a raffle, and must-have merchandise to buy from Greyt Escape and SA Greys! Don’t forget to snag your Jim Click car raffle tickets! Plan to join us, as a volunteer for part of the event (we need you) or as an attendee with your hounds. You’ve got to be there! All content © 2019 SAGreys. My name is Bowie and I’m about 5 years old. My previous owners in Mexico dumped me from their car and drove away leaving me alone and terrified. Since I was dumped on the side of the road, I got hit by another car and ended up in a poor state. Some kind people saved me and managed to eventually get me to Arizona where I could go to the vet. Luckily I didn’t need surgery but still ended up with a fractured pelvis, I have wounds on my hip and front paw too. The vet also found I had tick fever which I am getting treated for. I look like I have had a tough life as I have many scars on my face and a tear to my ear, but I still am a sweet soul, I am always smiling and wagging my tail, I still love people and follow my foster family around wherever they go in the house. I can’t go for walks right now as my pelvis needs to heal but am happy enough to lie on someone’s lap. I am a quiet dog who doesn’t bark much at anything and am housetrained so know to go outside and can use a doggy door. I don’t mind hanging out with the other dogs in my foster home but don’t feel like playing with them. I don’t know why my old family didn’t want me as I’m such a good boy. I know that I am in great hands now and will find a wonderful new home with people who love me for the sweet dog I am. This is a test popup!